What’s the harm in it, they say. It’s nothing but fun! If I look at some bodies bathing in the sun! When you stand on a Day, so long so dreary? “Say to the believing men that they should lower their gaze and guard their modesty. That is purer for them. Verily, Allaah is All-Aware of what they do. Say to the believing women that they should lower their gaze and guard their modesty…O you who believe! Turn you all together towards Allah that you may attain success.” (Surah Nur:30,31). DO I DO EHSAAN WITH MY PARENTS? May Allah SWT make us amongst the ones who truly understand what Ehsaan to parents means, and deal with our parents with Ehsaan while we have the chance to do so, Ameen. If Prophet Muhammad (saw) Visited you…what will you do? If Prophet Muhammad (saw) Visited you? The Qur’an where they had been? Keep up their usual pace? Lough Gill is a lake in County Sligo in Ireland. 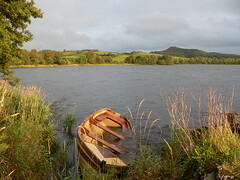 It contains about 20 small islands, including the Lake Isle of Innisfree, Yeates was Irish and for a part of his early life lived in Sligo.